The Scripps College mobile app provides a simple way to stay in touch with the campus community. The app allows users to access campus information; schedule and organize classes, assignments, and events; and connect with classmates and friends. 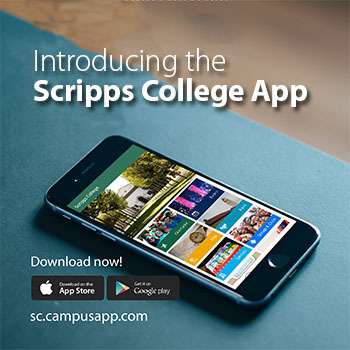 Students are encouraged to visit sc.campusapp.com to download the Scripps College app and view instructions for use, privacy disclosures, and other information. Scripps’ Student Activities and Residential Life Office is also a resource for information about the app.